Horses offer us an opportunity to live in the present with them and experience their non judgmental feedback about where we are on our journey to being truly authentic human beings. They can help us reconnect to our sometimes lost kinship with the natural world. Spending time with horses can help us to practice mindfulness and live fully in each moment , noticing and appreciating their wisdom and peace. We hold sacred space, for people to explore areas of their life they would like to improve and assist in grounding the changes through interaction and communication with themselves. 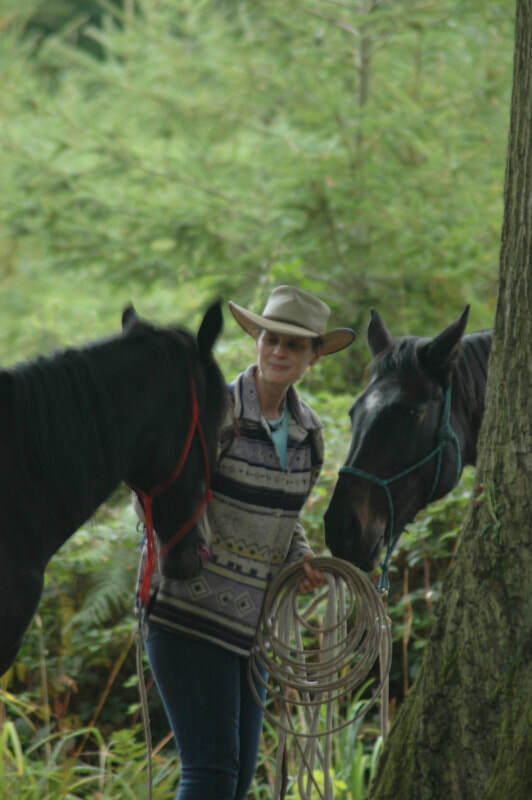 Anam Cara Horses and myself are a team of therapeutic healers, we welcome people from all walks of life who are drawn to the spirit of horse and of nature as a source of healing for themselves. The horses are waiting to heal those who wish to receive their wisdom. 'Anam Cara' means 'Soul Friend' in Gaelic. Anam Cara is the matriarch Mare of the herd and the inspiration for the work we do, accompanying people on the journey home to their true self. All the horses have 'history' of rejection, mistreatment and 'not being heard', they are wounded healers but live a joyous life, as a herd, and offer their love and wisdom to all who hear their whisper.